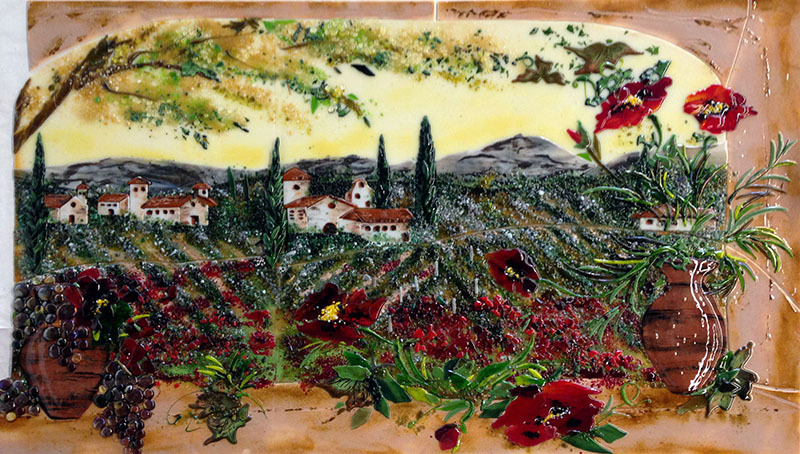 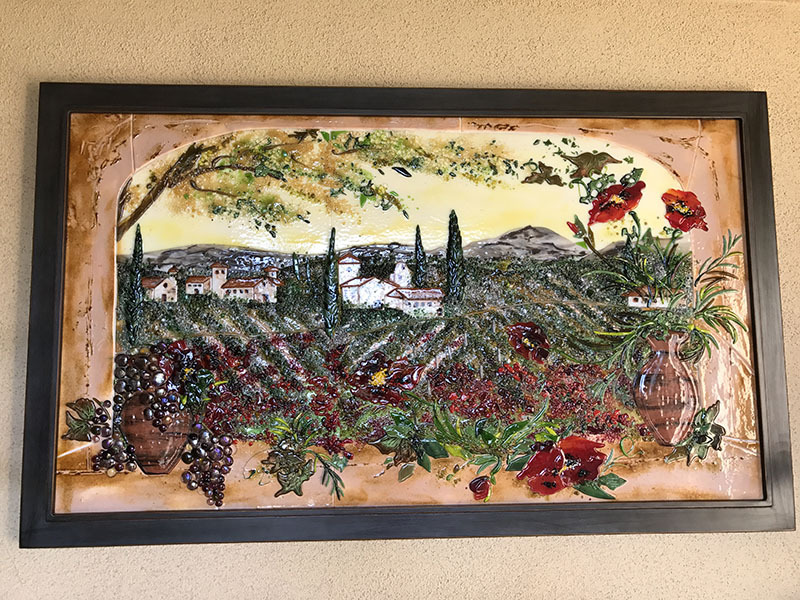 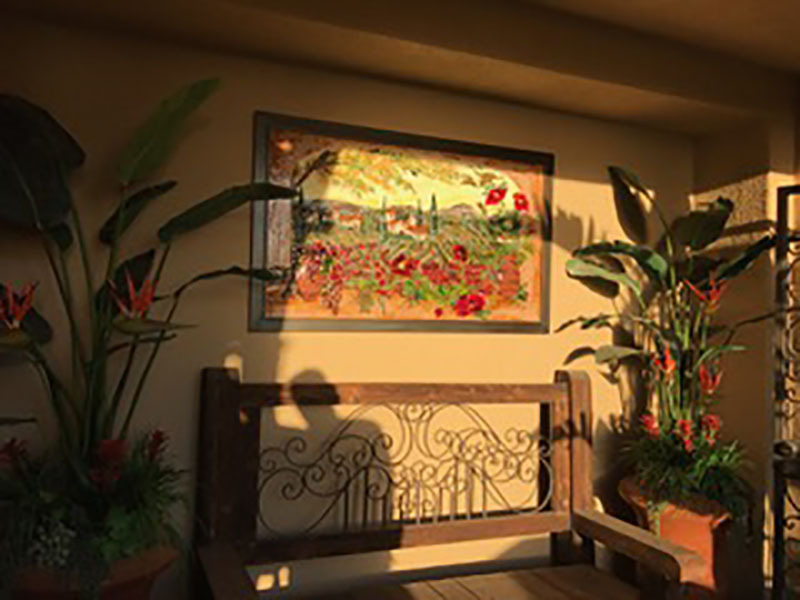 We created this unique Italian countryside mural from a design provided by out client. 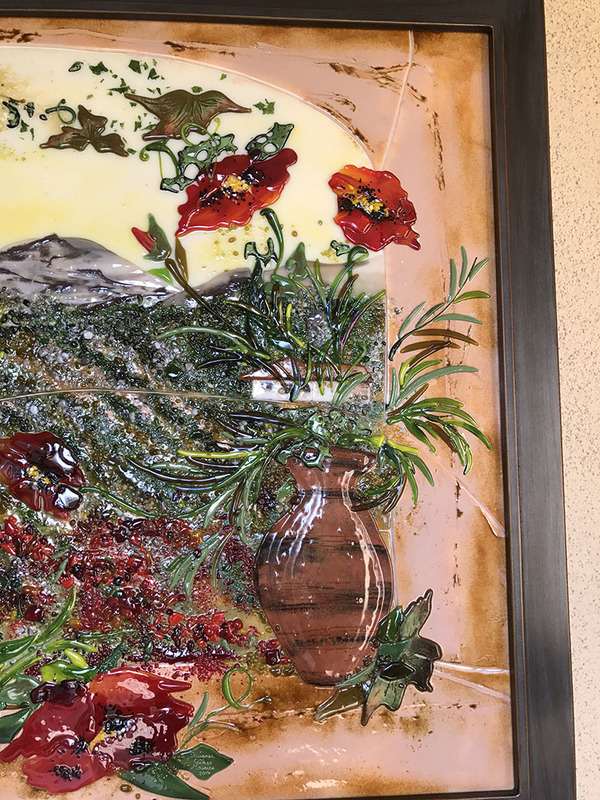 While it looks like a painting it is 100% glass. 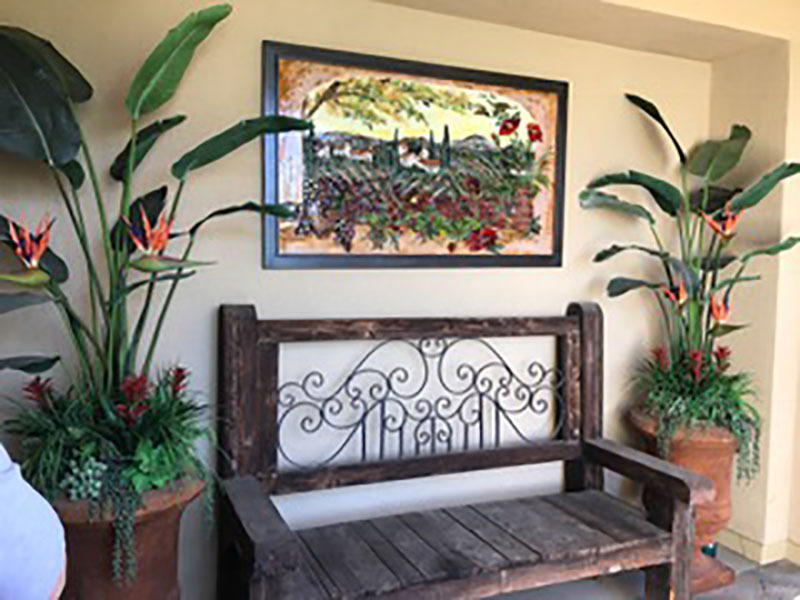 The mural hangs proudly in our client’s entryway.